Be careful when washing the side windows of your vehicle. Especially, with high-pressure water.Water may leak through the windows and wet the interior. Never allow water or other liquids to come in contact with electrical/ electronic components inside the vehicle as this may damage them. Do not use any acid detergent. It may damage and corrode the aluminum or chrome wheels coated with a clear protective finish. By using the most advanced design and construction practices to combat corrosion, we produces vehicles of the highest quality. However, this is only part of the job. To achieve the long-term corrosion resistance your vehicle can deliver, the owner's cooperation and assistance is also required. Moisture creates the conditions in which corrosion is most likely to occur. For example, corrosion is accelerated by high humidity, particularly when temperatures are just above freezing. In such conditions, the corrosive material is kept in contact with the vehicle surfaces by moisture that is slow to evaporate. Mud is particularly corrosive because it dries slowly and holds moisture in contact with the vehicle. Although the mud appears to be dry, it can still retain the moisture and promote corrosion. High temperatures can also accelerate corrosion of parts that are not properly ventilated so the moisture can be dispersed. For all these reasons, it is particularly important to keep your vehicle clean and free of mud or accumulations of other materials. 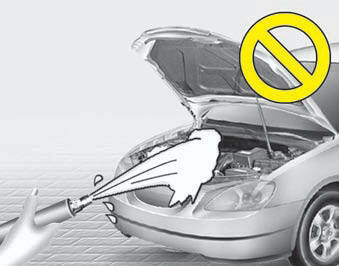 This applies not only to the visible surfaces but particularly to the underside of the vehicle. The best way to prevent corrosion is to keep your vehicle clean and free of corrosive materials. Attention to the underside of the vehicle is particularly important. When cleaning underneath the vehicle, give particular attention to the components under the fenders and other areas that are hidden from view. Do a thorough job; just dampening the accumulated mud rather than washing it away will accelerate corrosion rather than prevent it.Water under high pressure and steam are particularly effective in removing accumulated mud and corrosive materials. Don't park your vehicle in a damp, poorly ventilated garage. This creates a favorable environment for corrosion. This is particularly true if you wash your vehicle in the garage or drive it into the garage when it is still wet or covered with snow, ice or mud. Even a heated garage can contribute to corrosion unless it is well ventilated so moisture is dispersed. Moisture can collect under the floor mats and carpeting and cause corrosion. Check under the mats periodically to be sure the carpeting is dry. Use particular care if you carry fertilizers, cleaning materials or chemicals in the car. These should be carried only in proper containers and any spills or leaks should be cleaned up, flushed with clean water and thoroughly dried.